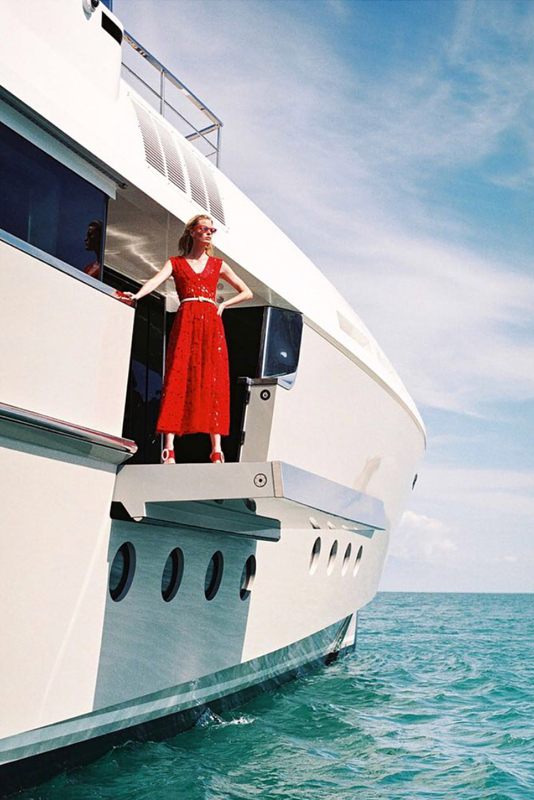 In selecting and developing media partnerships for client, Ocean Independence, none represents the pinnacle of luxury lifestyle communications quite like TIMES LUXX, distributed quarterly to highly aspirational readers of The Times on Saturday. The results of our latest project appeared in the summer edition and online, on Saturday 19th May: 8-pages of 'Superyacht Style’ on board 49m Endeavour 2, part of the Ocean Independence charter and sales fleet. The straight-from-runway fashion shoot, featuring supermodel and actress Caroline Winberg, took place off the Cinque Terre coastline, in Italy. With special thanks to Lisa Grainger, Prue White and photographer, Fauve Bouwman.